Ghana’s Minister of Education, Dr. Matthew Opoku Prempeh has announced that the government will be taking over the Complementary Basic Education programme, which Crown Agents has delivered with its partners Associates for Change since 2013. The DFID and USAID funded programme has got over 240,000 out-of-school children back into education in rural northern Ghana. At a CBE Lessons Learning Workshop with partners last week, the Minister of Education confirmed that with the end of the UK and US funded programme, the government will continue rolling the programme out to reach the remaining 650,000 out-of-school children in Ghana. 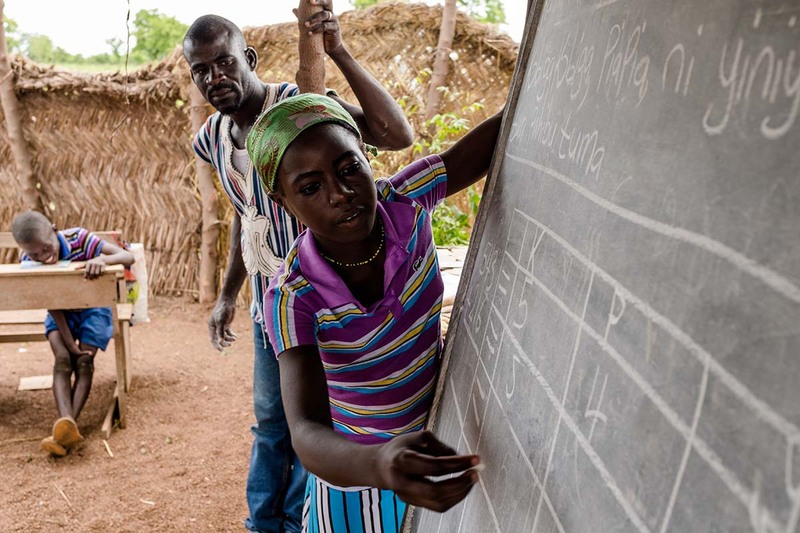 High levels of poverty and some cultural practices in northern Ghana deny school-aged children, particularly girls, between 8-14 years access to basic education. Crown Agents has delivered CBE in partnership with the Ministry of Education and the Ghana Education Services in over 6,000 communities. Within a nine-month period, students learn basic reading and writing skills, with almost 90% of graduates going on to re-enter formal schooling. CBE has not only increased school attendance but has changed attitudes in rural communities. Over 80% of parents have changed their views regarding the importance of education and the benefits of equal access for both boys and girls. Read more information on the Ghana Complementary Basic Education Programme.